Nicole came to us already knowing what she wanted. She had previously started working with another designer. 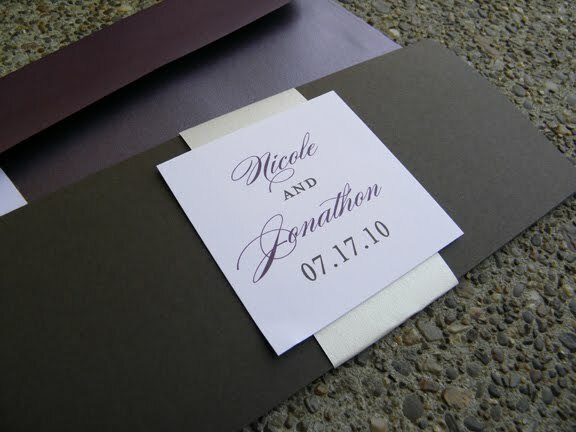 When that designer wasn't able to finish her order she came to us. She showed us what she was wanting and we went from there. 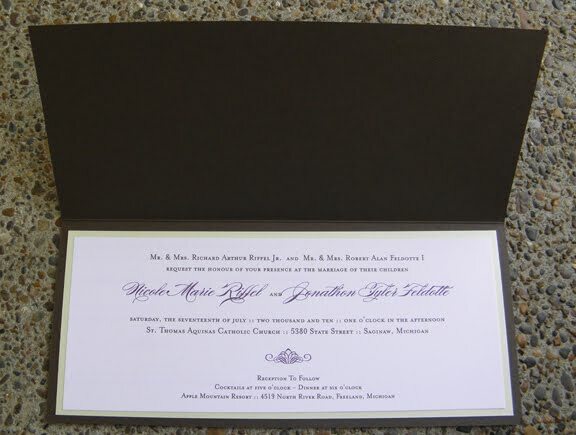 Her invitations came out very cute. The envelopes were shimmery Ruby and included a white wrap label complete with her guests' addresses and her parents' return address. 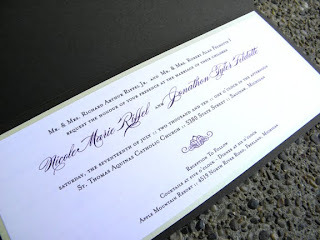 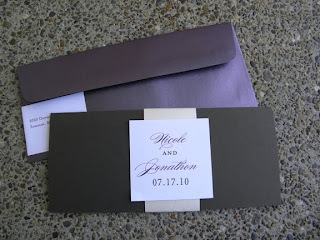 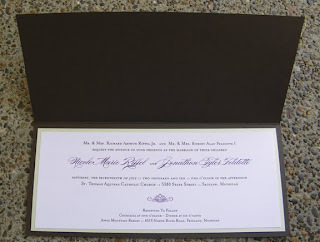 The invitation itself was tucked inside of a 4x9 Cocoa folded card wrapped in a Pearl band with a white topper. Inside the white invitation was mounted on a layer of shimmery green Serpentine. 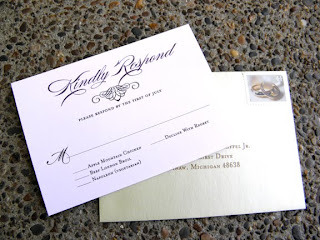 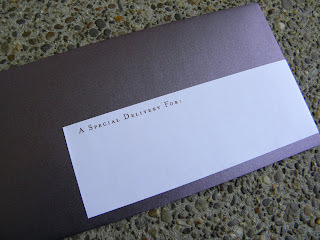 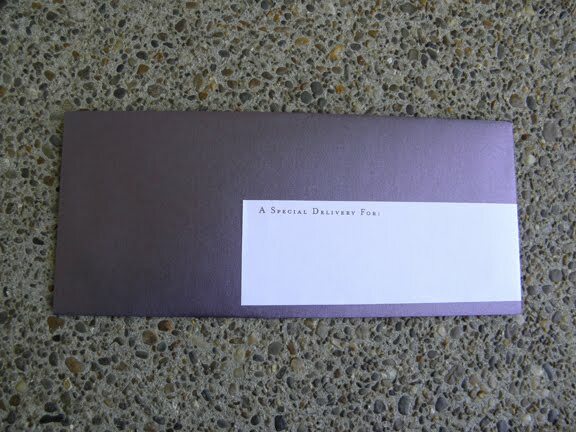 Her lovely little Response card was also tucked inside the invitation folder along with it's Serpentine envelope.